Centene Plaza is a prime example of an exceptional, state-of-the-art property supported by the exceptional services of Rafco. And we take great pride in the fact that, from initial planning and development to construction and building management, we played an integral role in its towering success. 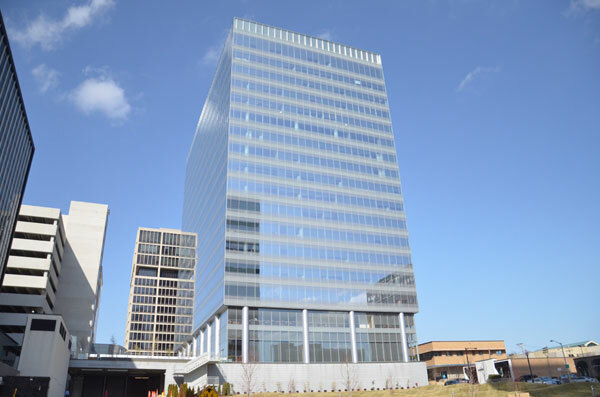 Over the last few years, Rafco supplied in-depth consultation services on virtually every facet of construction for Centene Corporation’s new world-class headquarters located in Clayton, Missouri. The 17-story office tower boasts 485,000 square feet of office and retail space, a 972-space parking garage, as well as a public plaza. The development is also the region’s first and only multi-tenant office building to be LEED Gold-certified. professionals to address the environmental, economic, physical and political issues impacting a project of this scope. At each step in the process, we collaborated closely with a number of professionals, including architects, city planners, engineers, surveyors, inspectors, contractors, leasing agents, attorneys, lenders and others. In addition, Rafco helped coordinate a series of interrelated contracting tasks to complete the project in a timely and efficient way.